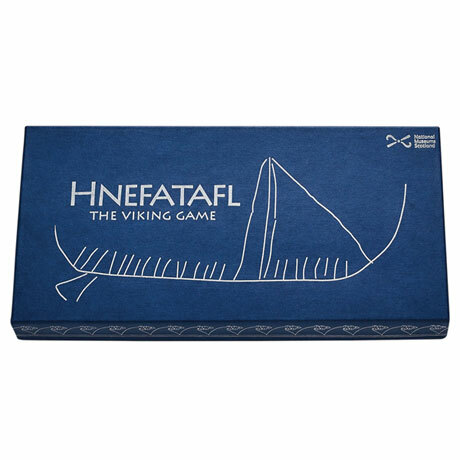 One of history's greatest board games, Hnefatafl(nef-ah-tah-fel), which translates as "King's Table," has been played for more than 1,600 years, far longer than chess. There are two ways to win: either the attackers (24 soldiers) capture the king, or the king (helped by his 12 soldiers) escapes to one of the corners. It's simple but subtle, and once you start playing, you're hooked. 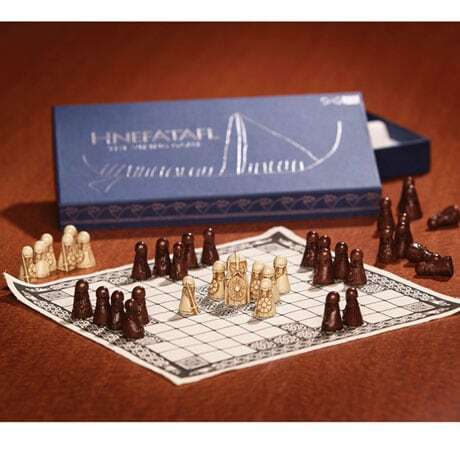 Game includes 37 resin playing pieces, each about 1 ¼" high, and a printed linen board about 11" square. Comes with instructions. Ages 3 and up (small pieces). Imported.